If you visit pretty well any Canadian government site, or one receiving its funding from the government, you will come across the claim that the Canadian Communist surgeon Norman Bethune founded the first mobile blood transfusion unit in the world during his brief stay in Spain during the Spanish Civil War. This claim was set forth by Bethune himself, and it has been repeated by such institutions as Library and Archives Canada, Parks Canada, The Canadian Encyclopedia and the National Film Board. The reality is quite different, and to their credit both Wikipedia and the Centre for Blood Research briefly mention the actual facts. What were they ? In Catalonia the reality is well known. On July 17, 1936 the Spanish Civil War began with a military rising against the government of the Republic. The government dithered and procrastinated. The Spanish working class and peasantry, however, responded with vigor, and the rising was soon defeated in the major industrial areas in Spain, in Catalonia, Valencia, Madrid and the north of the country, excepting Galicia. This resistance was the signal for a far ranging social revolution that was the most profound of the 20th century. The centre of this revolution was perhaps Barcelona, the capital of Catalonia, where on July 19 the anarchosyndicalists of the CNT thoroughly defeated the uprising. Soldiers listened to the pleas of the people, and turned their guns on officers and recalcitrant units. Other desertions from the paramilitary forces followed, and the general in command of the rising, General Goded, flew from the island of Majorca to a speedy arrest. When the dust settled it was generally the workers of the socialist UGT and the anarchist CNT who held most of nonfascist Spain, excluding their allies amongst the nationalist Basques. Anarchist organized forces, with a minor contribution from the left communist POUM and an even more minor contribution from the communist controlled PSUC, set out for the Aragon front to attempt to recover the city of Saragossa, lost to the rising because of misplaced trust. Most of the advancing anarchist columns delayed by wasting time securing rural areas, and only the unsupported Durruti column ended up facing the fascists near to the city. The Aragon front was the most active in the early days, and fighting was chaotic and improvised on both sides. It is there that the story of front line blood transfusions began. In the rear of the anarchist front in Barcelona the Catalan doctor Frederic Duran i Jorda organized the first mobile refrigerated blood transfusion unit as an extension of a blood bank in Barcelona, the Barcelona Transfusion Unit. The first units of blood were carried to the Aragon Front in refrigerated trucks in September of 1936. All of this was organized under the dual influence of the CNT Syndicate for Sanitary Services, an outgrowth of the Syndicate of Liberal Professions, and the anarchofeminist Mujeres Libres who took a particular interest in health care. In Catalonia the anarchist doctor Felix Marti Ibanez became director of medical services and social assistance. Decisions about medical services were made by the plenary assembly of the Syndicate. Eventually the "informal leadership" of the CNT/FAI allowed Federica Montseny to become federal Minister of Health in the Madrid government. Despite the continued unwise compromises of the anarchists and efforts of sectarian control by the Communists that reduced efficiency and approached treachery the Catalan blood transfusion service remained operative and became, in essence, THE unit of Republican Spain. Communist attempts to control and actually subvert this system began early, even in Catalonia. Some hospitals ended up being controlled by the Communist front PSUC with help from their foreign network. In November of 1936 socialist members of the British Medical Unit resigned from their positions with the Communist controlled Spanish Medical Aid (British organization in supposed solidarity with Spain). They complained that the SMA was "entirely Communist in outlook", and cited the conspiratorial tactics of the Communists that poisoned the atmosphere of the unit at the Aragon Front. Extreme coercion was applied to these non-communist socialists to join the PSUC Communist front. The resignees complained of several instances where this mania for control damaged the effectiveness of their unit. As if true-believer Communists could care. It was in this atmosphere that the late-comer Norman Bethune arrived in Spain in November of 1936. By this time the mobile blood transfusion units which he is credited with establishing were already a functional concern. Every innovation with which he has been credited by Canadian (and Stalinist) authorities was already in place. Mobile blood transfusion at the front - credit the Catalans. Refrigerated transport units - credit the Catalans. There is one thing where is was actually innovative, and I will deal with this soon. Aside from this his only idea was that the blood transfusion service should be "centralized". This is, of course, standard Stalinist procedure, but in Spain it came up against an improvised libertarian system that actually worked. It was also part and parcel of the favouritism that plagued the Spanish Republicans as Communist dominated units were allotted supplies that were denied to anarchist or independent socialist formations. This reached its apotheosis during the May events of 1937 and Lister's march through Aragon where anarchist units at the front saw their base destroyed by Communist controlled units that the Party thought could be better employed destroying its Republican opposition than in fighting fascists. The centralization option hardly lived up to its promise of efficiency. By the time he left Spain in July of 1937 Bethune had reduced the Spanish transfusion service to almost total chaos. This was not only because of his extremely unpleasant personality, attested to by pretty well all of his acquaintances before he left for China where he was hailed as a Saint by the Maoists. It was also because of his willing role as a Stalinist tool. His epigram to Spain was that "all those anarchist bastards should be shot". His party friends did their level best in the course of the civil war/revolution to carry this out, and they also added, or emphasized, dissident communists such as the POUM and "uncooperative socialists" who didn't see dictatorship as a sacred goal. Bethune had left the mess behind him, and despite the political reservations the central Spanish government had only one place to turn if they were to have a blood transfusion service that worked at all. 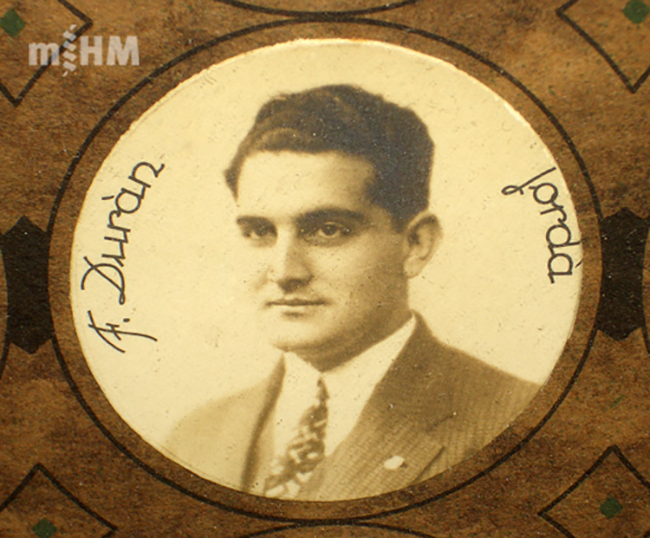 Dr. Frederic Duran I Jorda of Barcelona, the originator of all that Bethune is credited for, became the director of blood services for the Spanish State. He continued in this function until the victory of Franco, and he later settled in Britain. His contributions were cited (with no mention of Bethune) by Dr. Janet M. Vaughan, the architect of blood services in Britain in WW2 in the British Medical Journal. Bethune got no mention because he deserved none. Stronger words such as saboteur might be appropriate. Where was Bethune's contribution unique, at least in the context of Spain ? It was the rather grim use of blood harvested from dead bodies for use in transfusions. Dr. Duran I Jorda was familiar with the technique which he dismissed as impractical and dangerous. His familiarity came from reading medical reports from the Soviet Union, and in 1937 he issued a pamphlet in which he stated that the reports from the USSR were heavily "political", and his objections to the real technical problems. The use of blood transfusion began in the Soviet Union in the early 1920s, and was pioneered by Lenin's friend Alexander Boganov. Bogdanov died in 1928 of a "transfusion accident". Maybe. By 1930 his organization had expanded from Moscow to Leningrad, and another Soviet, Sergei S. Yudin, began the use of cadaver blood in 1930. Yudin published his results in 1936, though, as with anything from Russia at the time, the encouragement for "good news" was a life or death matter for the person involved. Yudin's work had been widely trumpeted in the Communist press and when Bethune visited Moscow in 1935 he may or may not have had first hand knowledge with the process during visits to various Soviet hospitals and clinics. In any case in February 1937 in Spain he stated that he would "use the latest Russian-American methods of blood transfusion". Be that it may another Communist doctor from England, Reginald Saxton, was probably more of a driving force behind the use of post-mortem blood than Bethune was. It it hard to say because the records of the Madrid blood transfusion unit under the reign of Bethune are notable for their abscence. Saxton later in September 1937 published an article in The Lancet in whiuch he extolled the use of dead body blood "as described by S.S. Yudin". It never happened. By this time under the directorship of Duran I Jorda the non-political, often fatal, problems of cadaver blood led to a recognition of reality despite the political sympathies of the Communists. In the meantime, however, under Bethune use of cadaver blood became routine via the practice of the American (Communist !) geneticist who joined Bethune's team in Madrid. This culprit left Spain in May 1937, but transfusion of blood harvested from corpses continued at least in the Madrid zone well into 1938. Its use elsewhere in Spain awaits further historical research given the opposition of Duran I Jorda and the routinely conspiratorial practices of the Communist Party. What can we glean from this ? First of all is that Bethune's "contribution" to the attempt of the Communists to centralize (and control !) the use of blood transfusion is rather a "contribution" that is entirely sectarian and not medical. Second the real technical "contribution" of imitating ghouls by draining dead bodies of blood would have been seen much earlier had it not been for sectarian politics. This practice continued despite the efforts of an opponent nominally in charge of the blood transfusion service. Credit conspiracy. Given the historical and present practice of harvesting organs for transplant from those whom the government in China executes one should wonder about the source of the cadaver blood used in both the Soviet Union and under Communist influence in the Spanish Civil War. Human life is, after all, cheap to those who wish to build the Marxist Utopia. Note in Proof: This will be followed by a longer (shudder) examination of Bethune in Spain with all the appropriate references. As I mentioned the true story is well known in Catalonia, but I only read Spanish, and I will have to ask for help in translation. I have no desire to comment much on Bethune's earlier career in Canada and the USA except as it relates to his Spanish myth. Nor do I wish to comment much on the later Maoist hagiography of him in China where he may or may not have achieved humanity. The purpose of this piece is to attack a pervasive state-sponsored myth in my own country, Canada, and to correct some widely held falsehoods about the status of Bethune. At this point I do not presume to know the political opinions of Duran I Jorge. All that is demonstrable is that he was not Communist. My own opinion is that he was a Catalan nationalist of liberal opinions. I stand to be corrected on this matter. Until now I never thought much about this Bethune history, although some how it seemed a bit strange. Your investigation into this matter is very revealing, and now that I ponder on the story, authoritarian socialists, Marxists have always acted for their own power first, inflicting all expenses to the initiatives of the people. Glad to know more like the truth. You are right about most of the information about Bethune and the Transfusion Service. But I will like to point that Dr Frederic Durán militate in PSUC.